If you’re a new, up-and-coming business it’s important that your credit rating is positive and clear of any misdemeanors to ensure you can obtain loans and help your growing enterprise excel. There are many ways to improve credit rating and just as many things you can do to tarnish your report. Steer clear of credit repair companies, taking out pay day loans as a quick fix and always ensure you can pay back any outstanding debts on time. You might be applying for a business loan but the bank is going to look at you personally and your ability to pay back your debts. If you don’t appear capable on paper because of a store card you once took out and forgot to pay back on time, you could run into trouble and threaten your chances of getting started. Meeting mortgage payments every month is also a key factor in maintaining a good credit rating – using the online calculator provided by the Money Advice Service can help you to budget these costs. 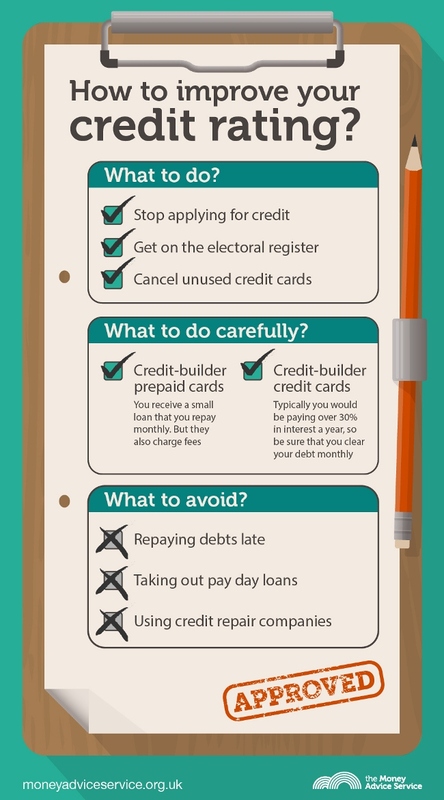 The featured info graphic also has advice on improving and boosting your credit rating.